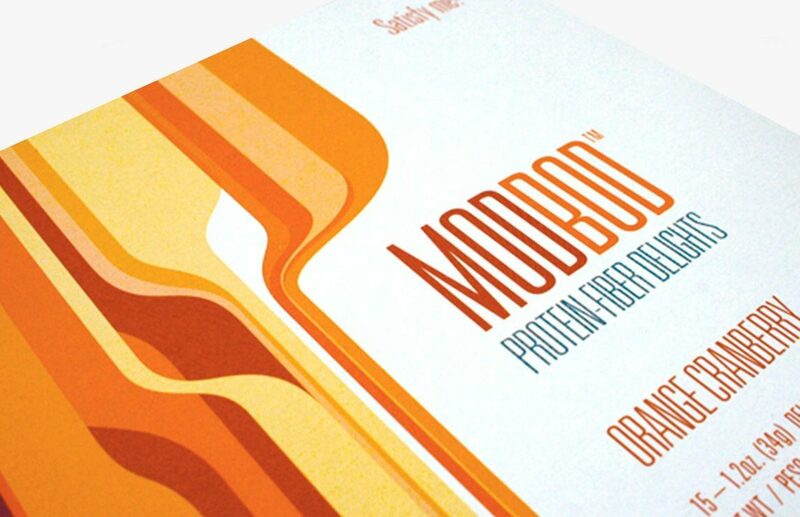 When Univera began planning the release of their new weight management system, ModBod, they turned to us for both packaging and website design. 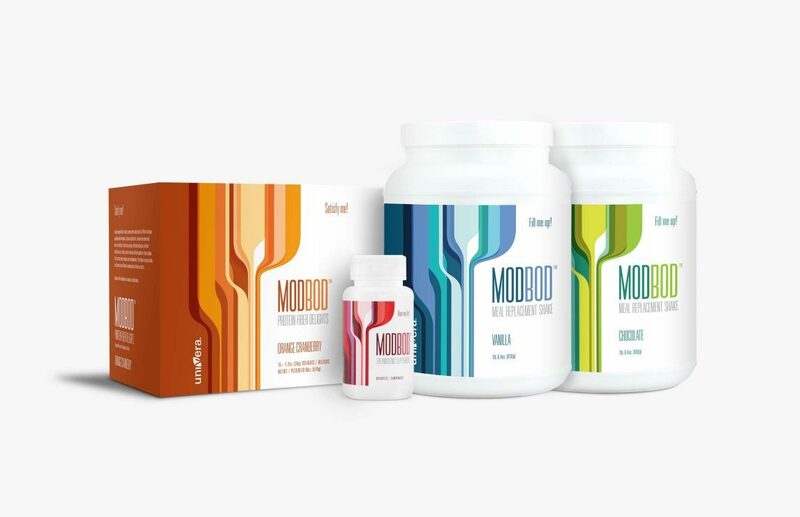 The product line was unlike anything they’d launched before and really needed to make a splash in the crowded marketplace of nutritional supplements and diet aids. 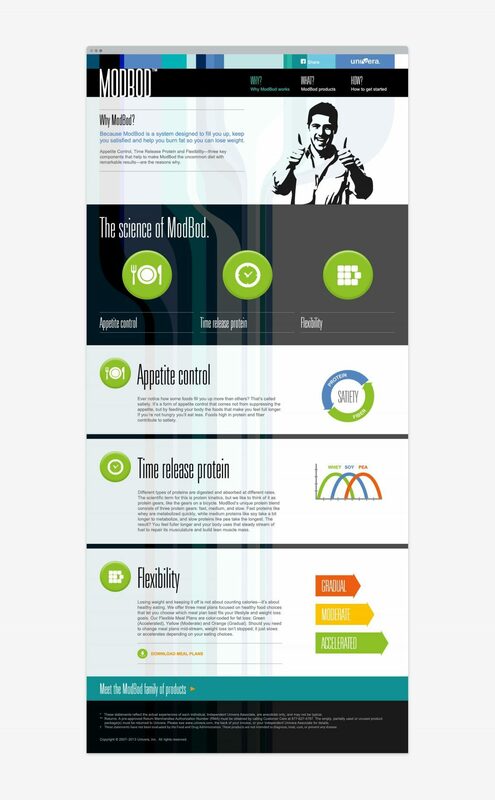 The product positioning encourages customers to regain that youthful vitality they may have lost (yeah, we can relate) by engaging in a whole new approach to weight loss and healthy living. Reflecting the positioning, the visuals have a bold, modern look but with a nod to the past – the place where that “youthful you” lived. Bright color and dynamic shapes infuse the designs with energy and draw in customers through a friendly and optimistic palette. 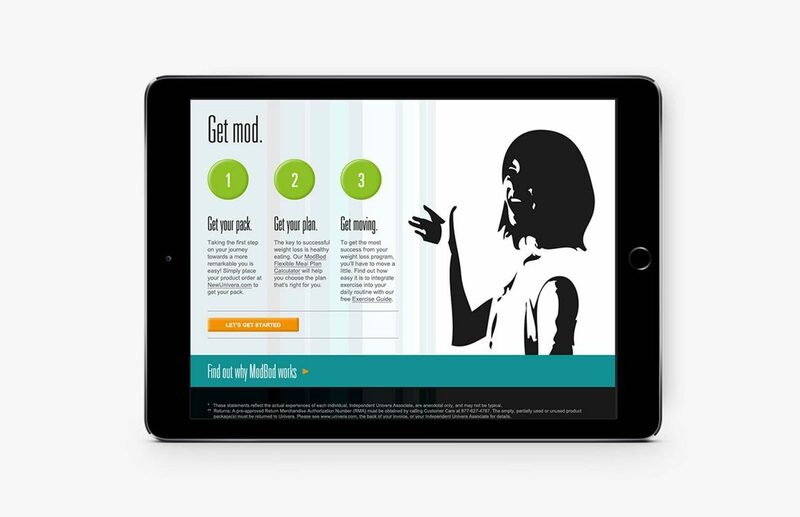 The website extends the palette further by incorporating fun, retro, graphic illustrations and punchy copy that walks customers through the program. The product line has been incredibly successful, with hundreds of 1-month supply packs sold on the first day alone. Getting back to that place where “youthful you” lived, while keeping one foot in modern science.